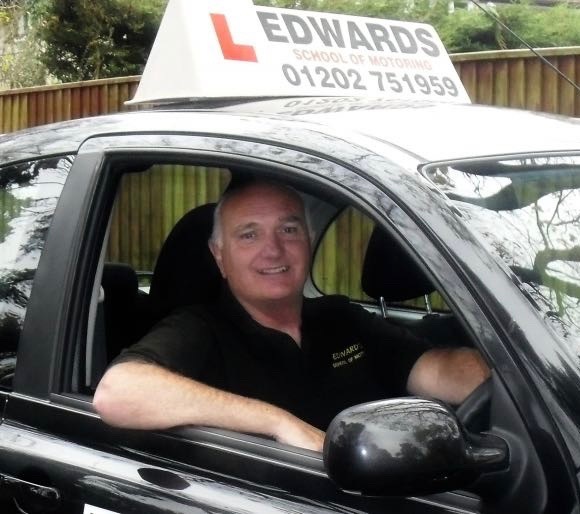 Edwards School of Motoring offer driving lessons, intensive driving courses, driving instructor training and crash courses in the South of England. With over 35 years experience as a driving instructor, I pride myself on offering quality, affordable tuition in this family run driving school. I have taught over 1500 pupils, driven around the world nearly 60 times and my pupils have gone through an unimaginable number of gear boxes. I am patient, calm and know exactly what it takes to get you through your test. You only have driving lessons once so I’ll do my best to make this experience as fun and exciting as possible. Driving lessons are fun and easy in our Nissan. The car is small and simple to control, making those dreaded manouvres a walk in the park. You can feel safe while you learn, knowing the car is fitted with dual controls so any hiccups can be quickly sorted. The car is fitted with air conditioning, power steering, air bags and ‘really comfortable seats’ so I’m told.